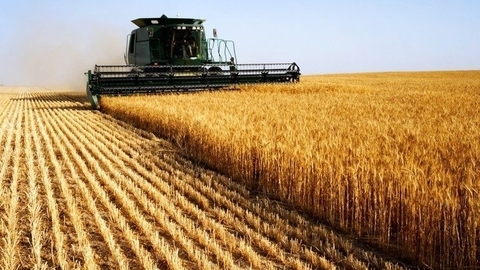 Agricultural output in January-March 2019 in Kazakhstan amounted to KZT 440 billion ($1.16 billion), which is 3.6% more than in the same period of 2018. This was reported by the Committee on statistics of the Ministry of national economy of the Republic. During the reporting period the volume of output of livestock amounted to 416,3 billion tenge ($1.1 billion), which is 3.8% more than in January-March 2018. Output of plant-growing made up 17.78 billion tenge ($46.9 billion). The scope of services in the field of agriculture amounted to 121,7 million tenge ($321 thousand), services in hunting — 246,7 million tenge ($651 million), in forestry was 3.31 billion tenge ($8,73 million) in fisheries and aquaculture — 1,95 billion tenge ($5.14 million). The volume of gross output of agriculture, forestry and fisheries in Kazakhstan in January 2019 was 128.8 billion tenge ($344,8 million at the exchange rate on February 13).